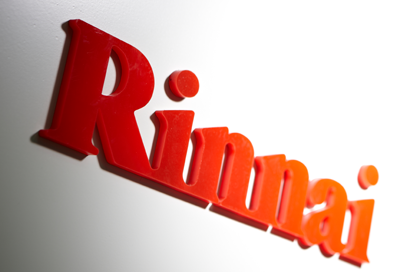 Rinnai realizes customers values through the Rinnai Way based on courtesy. Based on the slogan of 「Quality is Our Life」, we always perform our best for the customers, pursue 「Safety」, 「Comfort」 and 「Convenience」and supply products with a consideration of the earth and environment, realizing customer values. Also, accumulating all know-how on 「Heat」 and 「Life」 and contributing to improvement of the life culture is the path that Rinnai ultimately seeks. Rinnai has been provided the best product and service base on over 40 years accumulated technology and leading the general Korea living culture such as Kitchen & hot water heating field . Also We will be a good listener to make consumer’s rich life and happiness . Rinnai Korea will leading the living culture with continuous innovative activities. Living culture leading company Rinnai design the quality first and consumer oriented competitiveness kitchen appliances like gas stove,Oven stove and Hot water appliances like Gas boiler ,water heater and commercial appliances. Rinnai Korea aim to provide an eco-friendly and safe product to market that lead us total heating appliances Maker No.1 Brand. 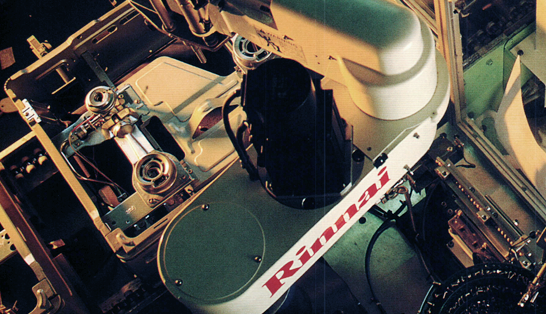 Founded in 1974, Rinnai has continuously grown ever since and been the undoubted leader in the Korean gas equipment industry. We are a total thermal equipment maker whose business ranges from gas ranges and gas boilers to water heaters and kitchen appliances for stores, with outstanding capabilities in manufacturing and quality. We operate 3 plants including Plant 2 at the headquarters, 6 branch offices and 30 service centers nationwide. Operating 30 service centers nationwide. Receipt of request and inquiry for after-sales service 1544-3651.